Ah, there's nothing so lovely as that new car smell. Except when your new car has a whiff of dead body about it. 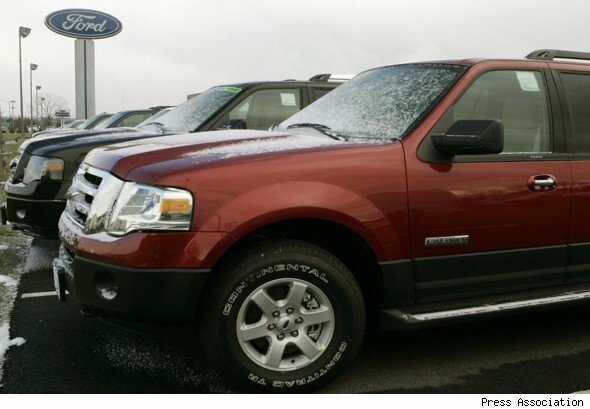 That's what happened to Margarita Salais, who has filed a lawsuit against the dealer that sold her a stinky 2006 Ford Expedition in New Baltimore, Michigan, because she reckons it had a dead body in it at one time. Unsatisfied at the dealer's explanation that the stink probably came from a dead animal, she's suing for £25,000 (£16,000), citing the dealership's failure to tell her that a dead body was once kept in the car. When she first took the car to the Suburban Ford dealership in Sterling Heights to complain about the pong, they sent her packing. Her lawyer, who seems to be taking this whole thing seriously, said that she didn't pick up the stink when she first bought the car because it was cold, but when the climate started to rise, the smell became more apparent. Narked and paranoid about the potentially macabre past life of her new SUV, she put an insurance claim in to have the car professionally cleaned. Salais says that the cleaning company, Elite Trauma Clean-up, told her that the smell was akin to that of a decomposing body. However, an unnamed representative from Elite Trauma, talking to Detroit News, explained that he personally had inspected the car, and told Salais at the time that it smelled of "rotting meat". She was also informed that the only way to find out the true origin of the smell was to systematically take the car apart. Salais said no. However, Salais's insurance company ran a background check on the car and discovered that it had been stolen three times before it was sold to her - a backstory she'd not been informed of during the sale. The goal of the lawsuit, says Salais, is only to get the dealership to take the Expedition back and sort out her legal costs, but to date she's being dismissed like frozen road kill. Her lawyer, Dani Liblang, said: "What's not very credible or likely is that the dealer didn't know it was a daily rental or had been stolen three times. That should've been fairly obvious from the title history. "If it turns out that the dealer knew or had reason to know about this dead body thing, then I think my client is entitled to more."